Today I am grateful for the surprises my garden gives me. 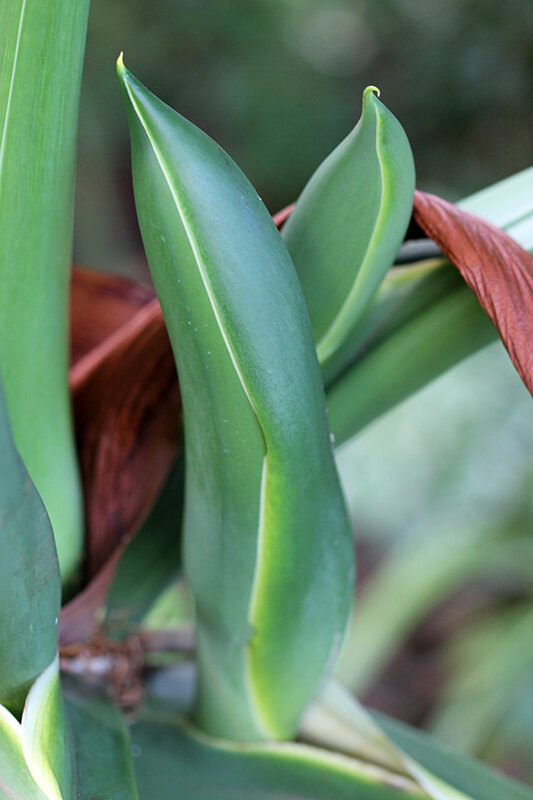 As a new gardener I am constantly amazed at the surprises my garden provides … from unexpected buds to getting something right, it feels like Christmas whenever I find something new and unexpected in the garden. Like finding buds on the Abutilon (planted from a cutting), seeing my Hydrangea come back to life after pruning (for two years its been a flop, this year I researched and pruned, and now its flourishing, huge and even has buds) to today’s surprise … who knew Philodendrons produce flowers? Not I.
I’ve had this massive plant in my shade garden for over four years and its never produced a flower. Yesterday I saw these huge “buds” on it and wondered what was happening to it. 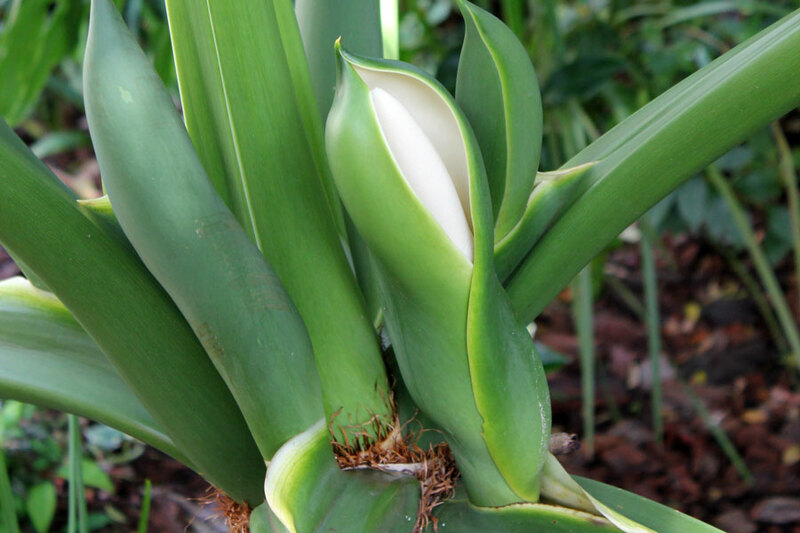 Thanks Google – I now know Philodendrons flower! There are six massive buds on it (about the size of a rugby ball each). For this and all the other “gardening surprises”, I am grateful. 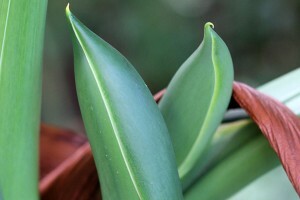 Photo: Buds on the Philodendron. I never knew this was a flowering plant until I found these massive buds on it. Am looking forward to seeing the flowers! Philodendron: Philodendron is a large genus of flowering plants in the Araceae family. The genus is the second largest member of the arum family. Taxonomically the genus Philodendron is still poorly known, with many undescribed species. Many are grown as ornamental and indoor plants. The name derives from the Greek words philo or “love” and dendron or “tree”. Cat of The Whimsical Gardener, has invited Garden Bloggers the world over to join her in the 30 day challenge of posting a photograph and sentiment that you are thankful for – every day for 30 days. Find something you are thankful for every day, for 30 days, can’t be too difficult, can it? See all my posts filed under “30 Day Challenge“. I think, it will produce edible fruit? But please don’t take my word for it!! I have an old philodendron too. It’s never flowered; now I’m hopeful! What a special gift…very cool!! Your hydrangea coming back after 2 years is a great surprise! Gives me hope for mine, which looked a little sad this year. How amazing is that!? New surprises and wonders our garden shares with us! How Fab! !